Hana: "Kyaaaaaa! Why is Daddy so strict today?" 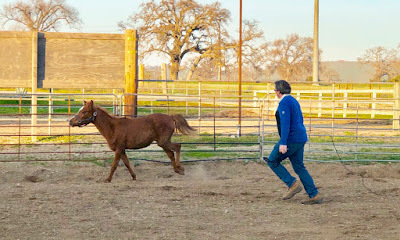 Mommy: "I'm glad both my husband and horse run and do exercise together♪"
Kona: "Good to be young. 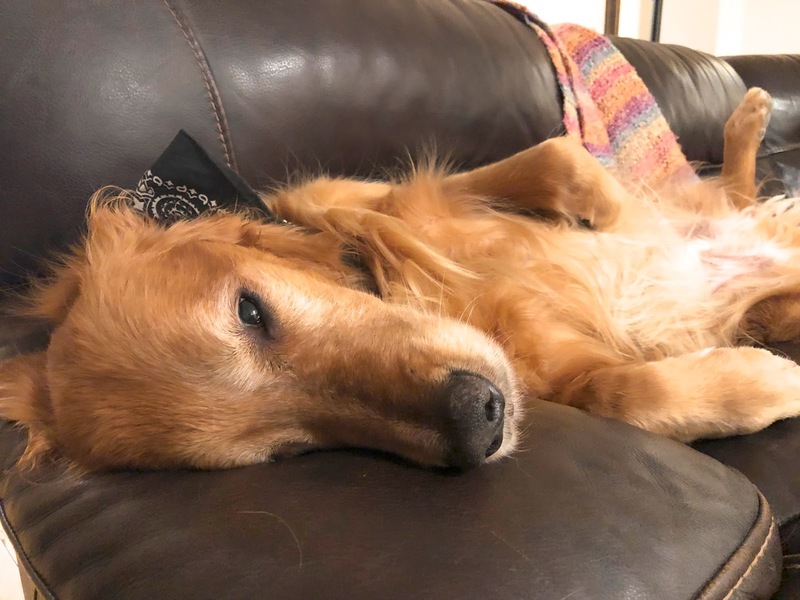 I, as a senior Golden Retriever, will lay down on the couch and take a nap today." For Kona who is getting hard to get in the car by himself, please click the puppy photo on the right above or a dog picture blow to vote for a doggie blog ranking. Thank you!